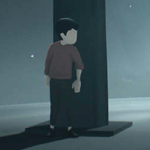 In this Inside Live Scream I continue making it through this awesome puzzle game. Thankfully a bunch of you guys showed up and helped me through some problems. This has been a blast and I love interacting with everyone. It is like solving a puzzle with our hive minds.